These leaks are a little sketchy. Have we caught a glimpse of the iPhone SE 2 and iOS 12? Apple’s Worldwide Developers Conference will kick off on June 4 and the company’s September iPhone Keynote is just around the corner. The anticipation for these two events has led to nonstop rumors about potential new iPhones and the successor to iOS 11. Now, some emerging leaked images claim to showcase both. On Tuesday, leak aggregation site Slashleaks published three images that allegedly give sneak peeks at the iPhone SE 2’s back panel and a description of the features that will come with iOS 12. These photos were originally posted on Chinese blogging platform Weibo. Apple iOS 12 and iPhone SE 2 Leaks: Can You Trust Them? There are a couple of red flags here. The biggest one is that no one’s seen iOS 12 yet — only rumors it’ll even be announced June 4. Apple is just now planning on rolling out iOS 11.4. It would be highly unlikely someone got their hands on a non-beta version of iOS 12 so soon. This alleged summary of iOS 12 also excludes multiple features, like horizontal Face ID and a smarter Siri, that are said to be coming with the update, according to sources in Apple’s Asian Pacific supply chain. The second picture that claims to show the back panel is even more fishy. 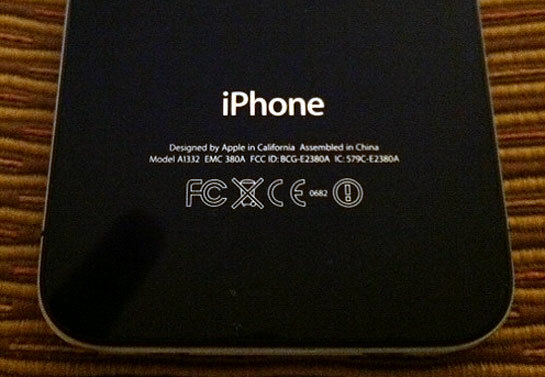 We’ve seen suspicious photos claiming to be early looks of the iPhone SE 2 and this one has many of the same warning signs. While it seems to have an all-glass back like many rumors suggest the phone would, it’s missing the regulatory FCC logos and suspiciously leaves the camera out of the frame. Japanese blog Macotakara claimed that there were three prototypes of the new iPhone SE in existence, according to sources at the Japan IT Week Spring 2018 Mobile Expo. There’s a possibility that these could be one of them, but the photo shows way too little to be sure. While we’ll probably have to wait until September to get any closure regarding this year’s new iPhones, WWDC 2018 will likely shed some light on iOS 12. Don’t sweat it — all of these rumors will make sense soon enough.